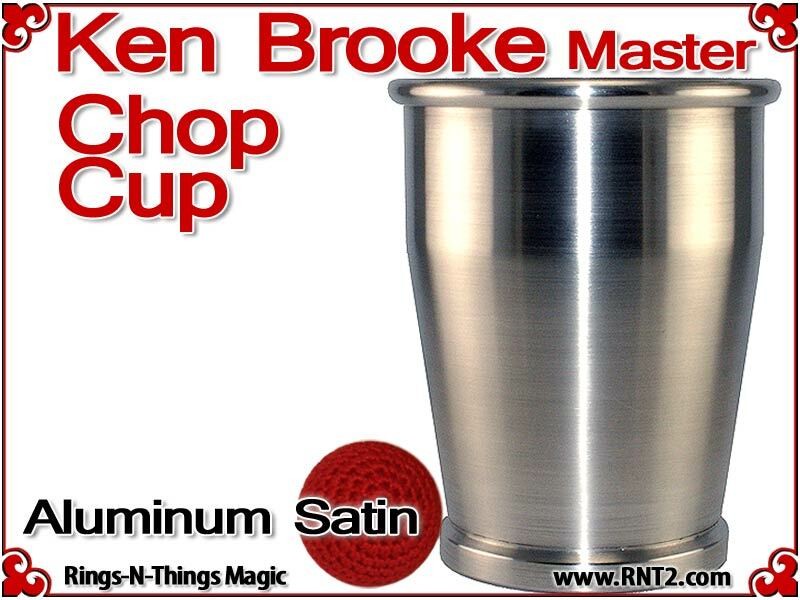 The Ken Brooke Master Chop Cup | Aluminum | Satin Finish and Balls. The Ken Brooke Master Chop Cup is an authentic reproduction of the first chop cup created by Ken Brooke. Sometimes referred to as the Ken Brooke Highball Cup, it was designed as a tall cup. The cup accommodates an impressive baseball size load. In many ways it strongly resembles the bottom half of a cocktail shaker. It is a lightweight version of the copper cup, even though it is spun from the same gauge aluminum as the copper cup, weighing in at only 3 oz (85g). Technically, the Ken Brooke cups are unique as the gaff is spun in on the outside of the cup rather than on the inside. This means the inside of the cup is seamless. It is an old style of gaffing a cup, but perfectly functional and authentic in every way. Some early versions of this cup had a gaff that was so strong you had to really slam the cup to dislodge the ball, adjustments have been made to the gaff to achieve a better balance and now a much lighter touch is all that is required. 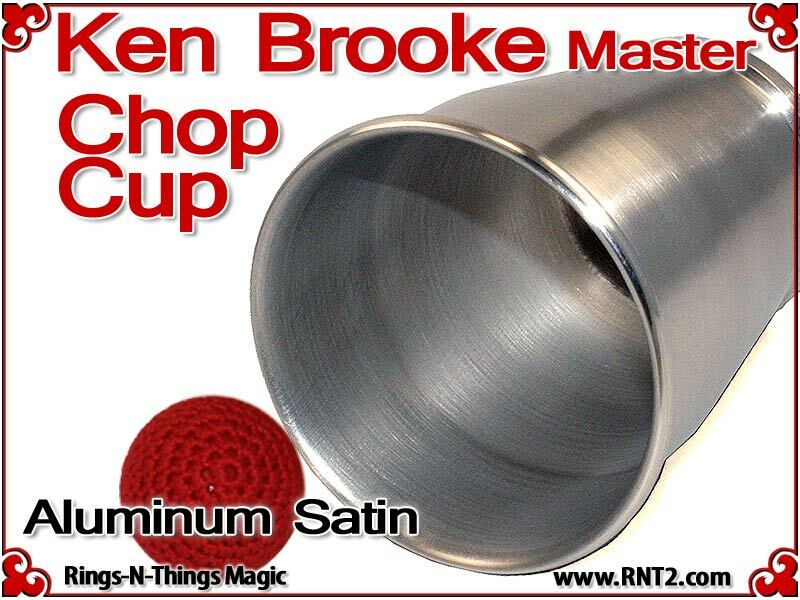 Each cup is hand spun from the original RNT II Ken Brooke Master Chop Cup tooling in .050 aluminum with a brushed satin finish on its exterior and interior. 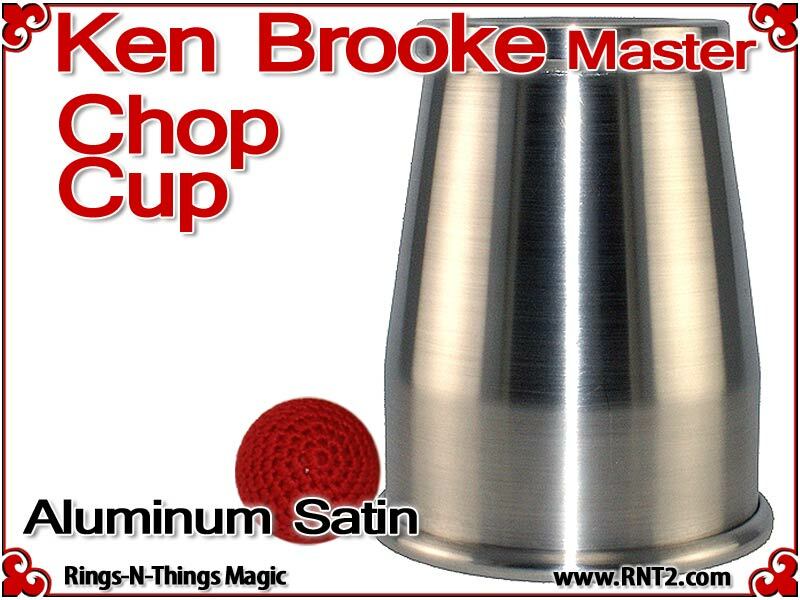 Ken Brooke Master Chop Cup | Aluminum | Satin Finish made in USA.